David Rehr is a CEO with over 25 years experience in federal policy and association management. A proven executive, with specific expertise in legislative and regulatory strategic planning, marketing and public affairs initiatives, membership growth, and financial management, Rehr has increased both the effectiveness and the efficiency of organizations he has led. He brings passion and a no-nonsense leadership style to organizations which need to adapt and change to compete in today’s world. To be successful, Rehr emphasizes simplicity of mission, a focus on the external, a commitment to meeting established benchmarks, and exceptional execution of tasks. Rehr also believes in building and keeping a committed and inspired team which is essential for an organization’s success. It is the team which gets results. At Leading Authorities, he is helping associations, businesses, chambers of commerce, and nonprofit organizations design and stage high impact Washington conferences and Fly-ins to get maximum exposure of their messages before Congress. Prior to joining Leading Authorities, David served as the President and CEO of the National Association of Broadcasters. At NAB, he was a strong advocate for radio and television broadcasters, meeting with policymakers and testifying before Congress on issues that impact radio and television stations. With the help of a great team, Rehr increased the effectiveness of this organization while streamlining its program offerings to reflect the future. He led the NAB to develop a vision, mission and values. Rehr also initiated and led an industry-wide branding effort to “re-set” inaccurate perceptions of the association and the industry from being seen as “old media” to one that embraces “digital media” and the future emerging technologies hold. 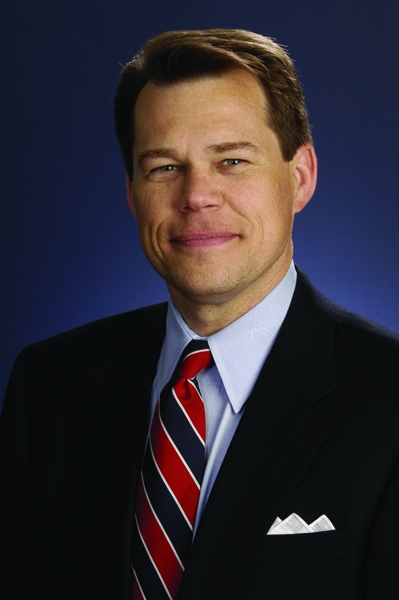 During his tenure at the NAB, Rehr was a leading advocate for innovation and advancement in the broadcast business, spearheading a multi-million dollar technology advocacy program for broadcasting, leading the TV industry’s $1.2 billion digital television (DTV) transition marketing campaign and initiating Radio 2020, an initiative that seeks to ensure radio’s value will be recognized well into the future through the Radio Heard Here campaign. Rehr’s individual attention to state broadcaster associations took him to more than 25 state conventions. His speaking engagements included the prestigious National Press Club, industry events and testifying before members of Congress on Capitol Hill. Prior to taking the helm at NAB, Rehr was president of the National Beer Wholesalers Association (NBWA). Under his leadership, NBWA’s visibility in the advocacy community soared, and the association was ranked as one of the top ten most influential lobbying organizations by Fortune magazine. During his career, Rehr has been an strong advocate for entrepreneurs and small business in Washington, DC. Rehr also holds a Master’s degree in economics from George Mason and a B.S. in Business Administration/Economics from Saint John’s University. He taught Advocacy to graduate students at the George Washington University School of Political Management where he was an adjunct faculty member and has lectured students attending numerous educational institutions, including (partial list): Carleton College, The Catholic University of America, The College of Saint Benedict, The George Washington University, Johns Hopkins University, Rutgers University, Virginia Commonwealth University, and Wake Forest University. In October 2009, Rehr was invited to present a lecture on the topic “Is the Fairness Doctrine Fair,” at The Eugene J. McCarthy Center of Public Policy & Civic Engagement. Rehr has also brought his understanding of Washington to international visitors and organizations. He was asked by the Meridian International Center and The German Marshall Fund to speak to how our system of government is influenced by its citizens. In November, Rehr appeared on a panel at the Institute of Brazilian Issues where he discussed common questions about advocating before Congress. Rehr is married to Ashley McArthur, whom he met when she was a congressional aide on Capitol Hill. They have four young children – Andrew, Harrison, Emily and Henry.